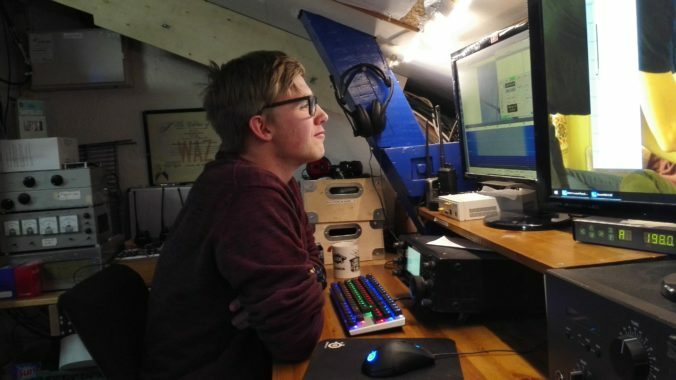 While testing our rudimentary 23 cm setup, and during recent work with the VHF/UHF array we uncovered some problems with the USB-connection to our Icom IC-9100 radio. This post is aimed at those who encounter the same problem with their radio. Among the neat features of the IC-9100 is an integrated USB hub (#14 in the image below) with a Computer Assisted Transceiver (CAT) interface and a sound card. One of the uses of CAT is to read and set frequency. An example is flyby, which uses this to correct for Doppler shift in satellite communications. As for the sound card interface, it allows the radio to support many digital modes by transmitting and receiving coded audio-sequences to and from the radio. Rear panel of Icom IC-9100. Credit: Icom America Inc.
During IARU Region 1 Field Day 2017, we were not able to get the CAT interface on IC-9100 working. After we returned from Field Day, we noticed that the problems persisted. Under Windows, the interface would not respond at all. Using rigctl from Hamlib on a Unix machine allowed us to get output from the rig, but when simultaneously accessing the sound interface there were frequent glitches. At the time we (wrongly) concluded that something must be wrong with the driver implementation in Windows, and did not think much of it for the next six months. Since we recently intensified our efforts on VHF/UHF/SHF, we found need for the USB interface in order to access JT-65C for EME operation. JT-65C for EME requires both doppler shift correction and continuous audio-traffic, and this caused the bug to occur very frequently. After a series of unsuccessful debugging attempts, including testing multiple computers, fiddling with udev-configs and other frustrations, we found out that the issue was something much simpler. It turns out that IC-9100s internal USB-hub uses external power to power these functions. This means that if you use a computer with a USB-port that is not able to support a lot of outgoing current, you will encounter frequent brown-out on the USB-controller. Our lord and savior, the powered USB-hub. 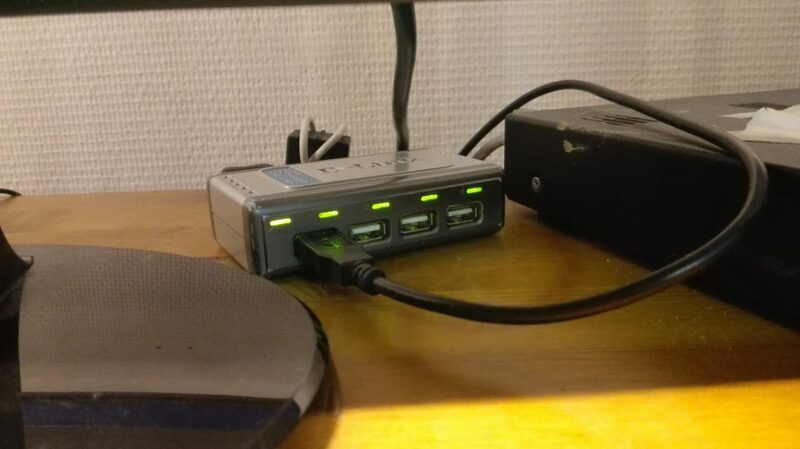 After installing a powered USB-hub as suggested by KG7CZV on eham.net, all our problems were a thing of the past. Interestingly this likely also applies to a number of other USB related issues we have had in the past. For example during Field Day, we regularly have problems with self-interference blackouts on the Digikeyer interfaces used for CAT on our IC 756 Pro III and TS-2000 rigs. Previously we have solved this using tons of choke ferrite clamps and aluminum foil. Perhaps a simple USB-hub could have been used all along :). Thanks to eham.net user KG7CZV for sharing his solution, you saved us a lot of headache!